In a piece for Crikey, Research Fellow Alex Oliver examines the problems of the continued understaffing and underfunding of the Department of Foreign Affairs and Trade. “DFAT is showing signs of strain”, reported Crikey two weeks ago. No surprises there. What surprises me is this has taken so long to surface, and people are finally noticing. We first starting looking at the Department of Foreign Affairs and Trade’s predicament in 2009, and our repeated calls for some meaningful political attention to be directed to its problems have been like shouting at the wind. What has happened to DFAT over the last 25 years is a bipartisan botch of near-biblical proportions. Once the flagship of Australia’s foreign policy, the department has lost over a third of its staff overseas (the Foreign Service), and its budget has flatlined. As a proportion of government spending its funding has halved. When we started our long-running investigation into the state of affairs at DFAT back in 2009 we suspected that something was awry. However, what we found was far worse. The department was overstretched and under-resourced from years of bipartisan neglect. Revising the study for the Lowy Institute in late 2011, Andrew Shearer and I found that Australia had one of the smallest diplomatic footprints in the developed world, and the smallest of all G20 nations. Tiny nations like Denmark, Finland, Norway and Belgium have bigger overseas diplomatic networks, yet they are all far smaller countries located in much more stable neighbourhoods than ours. The average size of a developed nation’s overseas diplomatic network is 133 posts. Australia’s is only 95. This is a crude measure, to be sure. But digging deeper, we found that even those thinly spread posts were poorly resourced, and many were too small to do anything much other than hoist the flag and exchange diplomatic formalities with the host country. In some missions with fewer than three Australian-based staff, if one were on leave and another ill, the post had to be closed if the last officer needed to go out for a meeting. Things have got that bad. It’s not just resourcing and numbers that have changed. The whole region is experiencing rapid and fundamental transformations. Australia is dealing with a rising China and the implications for its relationship with the US. New global players are emerging, and potential new conflicts are looming in our neighbourhood. This is a time when DFAT’s skills need to be at their peak. There are new challenges as well, which will require the Department to take a long hard look at its operations and its fitness to meet the needs of this century. In an era of globalisation, Australians are travelling more than ever. The number of overseas trips we take every year has doubled in the last decade, to 8 million annually. Some 1.7 million passports were issued last year alone. But the department responsible for looking out for all these travellers (who, incidentally, seem to be becoming sillier and more reckless the more they travel — remember the bar mat mum and the “Bali boy”?) has barely the number of staff it had 25 years ago and no more money in real terms. Since the Labor Party assumed government in 2007, successive prime ministers and foreign ministers have enthusiastically pronounced that we need to expand Australia’s diplomatic footprint if we are to effectively pursue Australia’s interests this century. But when pressed on whether this will translate into real support for the department (money, commitment), the response is that DFAT must stand in line with the rest of the public service and wear its share of budget pain. This is something of a furphy. While the public service as a whole grew 60% over the 15 years between 1997 and 2012, DFAT staffing stagnated. It didn’t share equally in the gains but is now expected to share equally in the pain. The next two years represent Australia’s foreign policy shining moment: the Security Council seat after a drought of 25 years, chairing the G20 and hosting the G20 Summit next year. It is not, ironically, any sort of shining moment for our foreign service. It is groaning under the weight of rising demands, increasingly complex work, decades of bipartisan neglect, no domestic constituency and a sad lack of political support. It bears an organisational structure created for it 25 years ago with the merger of Foreign Affairs and Trade, which has barely evolved since — despite the massive transformations in our region, economy and global outlook. It took 25 years to run DFAT to the ground, and it will take just as long to restore the lost skills, experience and influence. 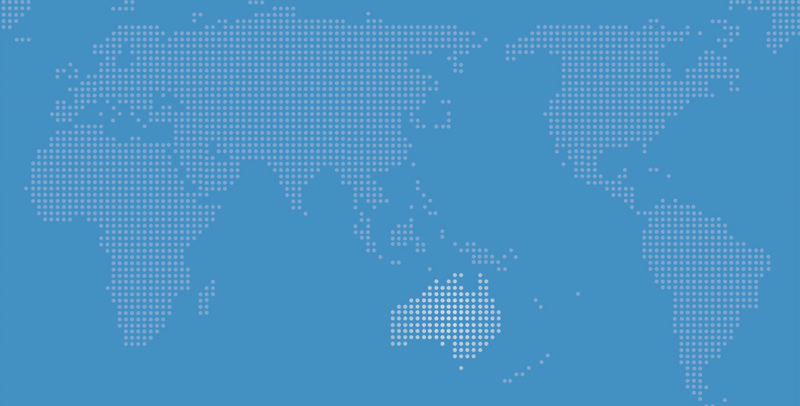 Back in 2009 we recommended the government fund at least 20 new diplomatic posts for Australia in a major, staged investment to start rebuilding Australia’s diplomatic capability. Since then, there’s been a Joint Standing Committee inquiry and an Asian Century white paper, which acknowledged the problem. But recommending that four new posts be opened “when circumstances allow”, as the white paper did, is not going to cut it. It’s either act now or stop pretending Australia is a creative middle power and relegate ourselves to the global sidelines. Not an especially promising plan.